Yes, the trade deadline is a little way off, but let it be known that Braves General Manager John Coppolella is always anxious to make a deal and a single date doesn’t hold weight on this trading stallion. Therefore, we need to be prepared, and this article will help us get there. If 2017 is a mirror of the past 2 years of Braves baseball, it’s going to be an active trade deadline for Coppy and the crew. Whether it be buying, selling, or a little bit of both, you can bet your sweet pippy the Braves will be dealing. Traded Alberto Callaspo, Juan Jaime, Eric Stults and Ian Thomas to the Los Angeles Dodgers. Received Juan Uribe and Chris Withrow. Traded Philip Gosselin to the Arizona Diamondbacks. Received Touki Toussaint (minors) and Bronson Arroyo. Traded Kelly Johnson and Juan Uribe to the New York Mets. Received John Gant and Robert Whalen. Traded Jason Grilli and cash to the Toronto Blue Jays. Received Sean Ratcliffe (minors). Traded Kelly Johnson and cash to the New York Mets. Received Akeel Morris. Traded a player to be named later, Dian Toscano (minors), Bud Norris and cash to the Los Angeles Dodgers. Received Caleb Dirks (minors) and Phil Pfeifer (minors). The Atlanta Braves sent Alec Grosser (minors) (July 8, 2016) to the Los Angeles Dodgers to complete the trade. YAY! Traded Hector Olivera to the San Diego Padres. Received Matt Kemp and cash. Traded Erick Aybar to the Detroit Tigers. Received Kade Scivicque (minors) and Mike Aviles. As part of a 3-team trade, traded international bonus slot to the Texas Rangers and Jeff Francoeur to the Miami Marlins. Received Dylan Moore (minors) from the Texas Rangers and Matt Foley (minors) from the Miami Marlins. In addition, the Miami Marlins sent two international bonus slots to the Texas Rangers. What will 2017’s trade deadline look like for our beloved Braves? 2015 was all about selling off the veterans, dead money, or debt consolidation for wild card prospects. The team was dead in the water and had no chance to compete. We knew it. Braves knew it. 2016 was much the same, rather the prospects were better, the deals were riskier (acquiring Matt Kemp), but most worked out in the Braves favor. *I’m not including R.A. Dickey or Tyler Flowers on this list even though they are both on 1-year deals, but have reasonable options. Of the players above, Phillips, Garcia, Motte, and Suzuki are the 4 that have established some value this year. Colon could be bought based on reputation alone, but I don’t think there’s any team that would even take O’Flaherty or Bonifacio for free at this point. However, if the Braves are looking competitive AND their best hitter in Freddie Freeman is set to return, one has to weigh the +/- of trading any of the vets that have value. The biggest question to answer would be “Are there suitable replacements?” That, my friends, is a hard question to answer. Replacement for Brandon Phillips? Ozzie Albies has taken to adjusting at AAA Gwinnett. In his last 20 games, he has a .296/.367/.432/.799 slash-line with 3 doubles, 1 triple, 2 HR, 6 SB and 0 CS. He’s younger and at this stage of Brandon’s career, will provide better defense. But Brandon’s on pace for a 2.5 fWAR year, is putting up solid numbers across the board, and has been a really nice addition to a Braves lineup that’s lacked good production from 2nd base. If Braves are competing, I think it’s hard to pull the trigger. 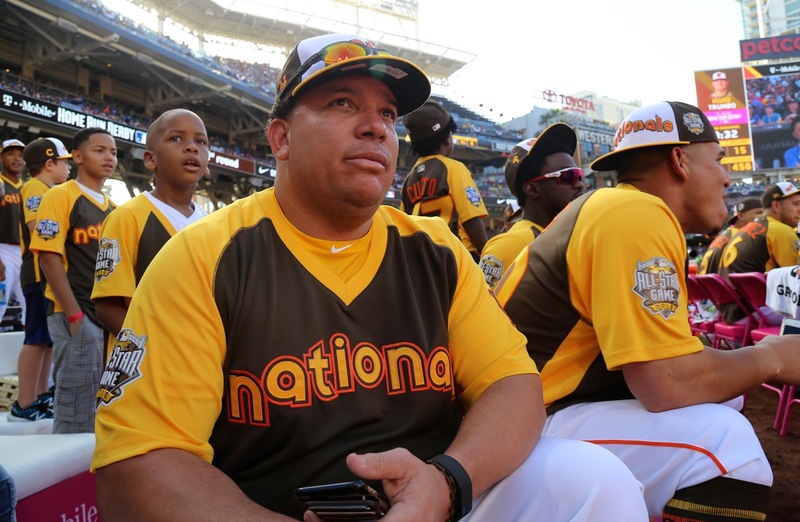 Replacement for Bartolo Colon? Lucas Sims and Sean Newcomb have both taken their lumps of late, but Bartolo has taken his the entire year up until last start. There’s no doubt that having Bartolo on the team has a positive effect on our players, especially Latin Americans, but from a player’s perspective, his production seems replaceable on the surface given either of the two above could get the call – along with guys like Kris Medlen, Luke Jackson, or even Patrick Weigel. Replacement for Jaime Garcia? It sounds weird to “sell-high” on a starting pitcher that’s sporting a 4.07 ERA, but that’s what the Braves could do with Jaime Garcia. Left-handed pitchers are coveted in the MLB and Jaime’s peripherals tell a different story than his actual production. I’m afraid that if the Braves don’t move him soon, his numbers could balloon or his injuries pop up again. Insert same guys for Jaime’s replacement with more emphasis on Newcomb for handedness. Replacement for Jason Motte? There are plenty of candidates for a Motte replacement, but all seem to come with the dreaded taint of being walk-heavy. Motte’s great start has been a bit smoky and mirrory as his LOB is a crazy 94.8%, but make no mistake he has been effective. Luke Jackson, Mauricio Cabrera, and Akeel Morris seem like logical fits should any of the three find their control. Replacement for Kurt Suzuki? At this point, I think the Braves would rather extend Suzuki for another year rather than trade him. 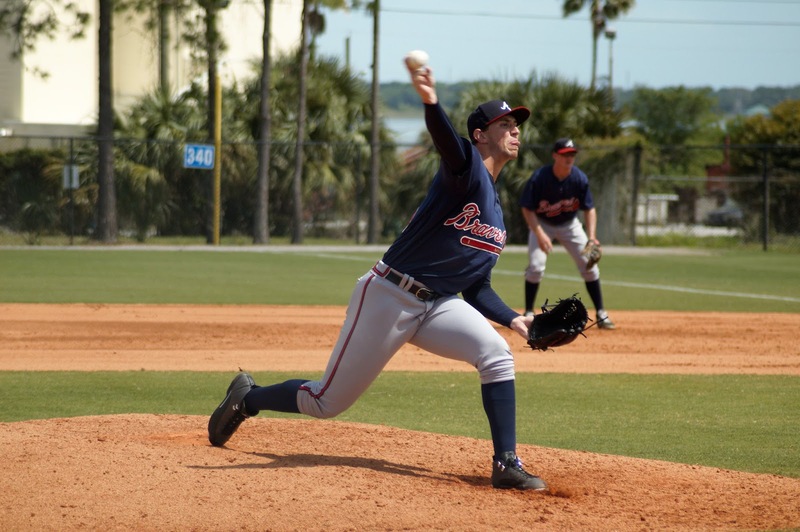 There aren’t real replacements at Gwinnett (David Freitas, maybe?) and Kade Scivicque is at Mississippi, but that’d be rushing his development, especially as a hitter. Trading Suzuki doesn’t seem wise unless the Braves can acquire their future catcher at the deadline. What to expect in return for these trades? For the rest, it depends on what Coppy has up his sleeve. There’s a lot he could do with excess cash at the trade deadline and filling holes with high-end cost-heavy talent wouldn’t be the worst idea in the world. Thanks for reading! Look for part 2 of this piece which will address Organizational Surplus.